Position: Music Australia’s Board seeks to appoint a new General Manager, to lead the organisation in its next phase of development. The GM will tap into significant strategic opportunities for the organisation as it navigates a changed funding landscape. 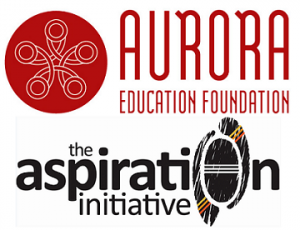 These include expanding the reach and funding sources of Music: Count Us In – Australia’s largest and most respected school music program and leveraging our successful Contemporary Music Roundtable to strengthen strategic professional sector outcomes in contemporary music. The role offers the opportunity to drive organisational growth and expand to a full-time position. The capacity to effectively represent, promote and advocate for the organisation and its vision nationally, and on behalf of the broader sector. A solid grasp of and commitment to school music education and well-developed national industry knowledge and networks. A proven ability to plan and implement impactful and significant events. Reporting to a national Board of Directors, The GM will be based in Music Australia’s Erskineville office, Sydney, and lead a small staff team, currently two full time equivalent positions. Maintains effective communications with a wide variety of stakeholders including music and education organisations. Oversees timely, cost-effective and impactful delivery of all programs and services, developing and monitoring budgets, and ensuring sound financial practices and reporting. Delivers effective reporting, governance and risk management activities to the Board, funders, stakeholders, statutory agencies and others as required. High level strategic and organisational leadership skills with a proven capacity to implement successful strategies delivering benefit to diverse stakeholders. Proven abilities (including delivery of Government funded programs) in leading and managing the program delivery, operations, finance and governance of a similar organization. Knowledge, understanding and experience of the Australian music industry and music education sector. Excellent communication, liaison and negotiation skills, and solid background in building enduring partnerships, coalitions and alliances. 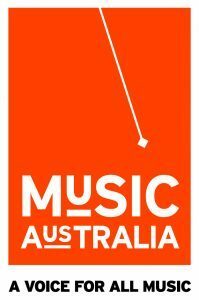 Music Australia is a not for profit national umbrella body and champion for all music. We work independently and with members and partners to stimulate and promote the value of music, school music education, sector professional development and public engagement. We provide advocacy and information services to strengthen music in Australia, and run projects including Australia’s largest school music program Music: Count Us In; and a contemporary music industry conference. The organisation enjoys high levels of respect and utilisation by the professional music sector, has a growing membership, a well-equipped Sydney office, solid digital platforms, and substantial engagement with over 700,0000 Australians accessing services annually.